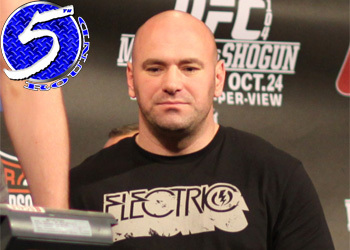 For those of you counting down the seconds until “UFC 128: Shogun vs. Jones” pops off inside the Prudential Center in Newark, New Jersey, Octagon president Dana White has released his latest video blog to help tide fans over until tonight’s fights. Although White launched ‘Day 4’ early Saturday morning, the promoter never released footage for ‘Day 3.’ In any event, today’s video provides exclusive behind-the-scenes shots from Friday’s official weigh-ins. While challenger Jon Jones was chomping at the bit to tip the scales, light heavyweight king Mauricio “Shogun” Rua is seen off to the side calmly awaiting his turn. The 23-year-old “Bones” looks to become the UFC’s youngest champion in tonight’s main event. The pay-per-view broadcast begins live at 10PM ET/7PM PT.